(Bloomberg) -- As Brexit looms and some 30 financial institutions make plans to relocate their home offices to Frankfurt, thousands of bankers are suddenly faced with the prospect of relocation. Others have already begun to make the move. The city that PricewaterhouseCoopers ranked fifth for investment prospects in 2019 has seen a population increase of more than 10 percent since 2012, according to a report by real estate brokerage Engel & Voelkers. 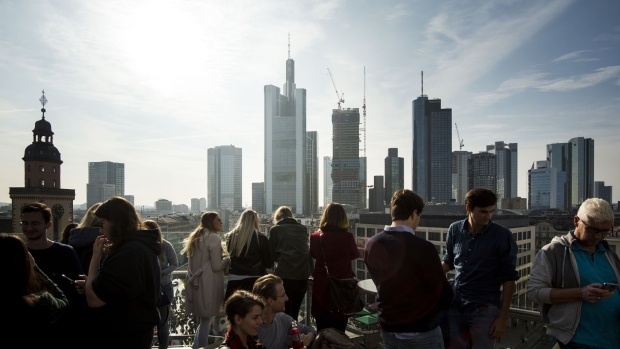 Unlike in other German cities, many residential towers pierce the sky here, but with 1,000 new residents moving to the downtown “Mainhattan” district each month since the Brexit vote, the market is getting squeezed. “Prices are still rising, especially in central locations,” says Olivier Peters of Peters & Peters Sotheby’s International Realty brokerage in Frankfurt. Prices overall have spiked 10 percent over the last year, according to Handelsblatt, a leading German-language business newspaper. Homes in sought-after neighborhoods such as the leafy Diplomat Quarter or the park-adjacent Sachsenhausen sell for around €6,500 to €8,000 ($7,400 to $9,100) per square meter. (That’s $560 to $748 per square foot.) It’s “still lower, compared to other major Brexit contenders,” Peters notes. But it’s a substantial growth over the past, says Daniel Ritter, chief executive officer of Von Poll Real Estate, headquartered in Frankfurt. He’s seen homes “costing around 70 percent more than 10 years ago.” Expect that number to grow ever larger. Fortunately, there are no restrictions against foreigners buying real estate in Frankfurt, as long as they have a German bank account, so transactions can be swift. (Mortgages are less easy to come by.) Below, you’ll find some fresh listings that are comparatively cheap in relation to similar homes in such Brexodus cities as Paris or Luxembourg. This popular, tony residential area seems to feature more villa-style homes than any other neighborhood. Residents choose it for park-like gardens and proximity to the cultural centers, such as the beloved Staedel Museum. The Diplomat Quarter is one of Frankfurt’s most sought-after areas. It’s defined by wide streets and well-kept villas shrouded in lots of greenery. Since consulates truly do hang their flags here, security is tight—an added bonus for many prospective buyers. In one of Frankfurt’s newest neighborhoods, former freight yards were converted to high rises, parks, and shopping streets right in the city center. A metro station should be arriving soon.